Currently celebrating 30 history-making years together, Lil’ Ed & The Blues Imperials (…] ply their musical talents with skills that have been honed to a razor’s edge. Mixing smoking slide guitar boogies and raw-boned shuffles with the deepest slow-burners, Lil’ Ed Williams and his Blues Imperials —bassist (and Ed’s half-brother) James “Pookie” Young, guitarist Mike Garrett and drummer Kelly Littleton— deliver gloriously riotous, rollicking and intensely emotional blues. Their newest release, The Big Sound of Lil’ Ed & The Blues Imperials is musically electrifying, emotionally intense and downright fun. It features Lil’ Ed Williams’ incendiary guitar playing and soulful, passionate singing, with the ragged-but-right Blues Imperials cooking like mad alongside him. Williams wrote or co-wrote all but two of album’s 14 songs (those two being written by Lil’ Ed’s legendary uncle, Chicago slide guitar king and master songwriter J.B. Hutto). In The Montgomery Advertiser, before Lil’Ed & The Blues Imperials show in Alabama this Sunday, May 20, at Capitol Oyster Bar in Montgomery, Alabama. Lil’ Ed & The Blues Imperials. Although they’ve been steadily releasing albums and playing clubs and roadhouses since their first gig on the West Side in 1975, the Blues Imperials grow more fiery and energetic every year. Taught by his uncle, underrated Chicago bluesman J.B. Hutto, bandleader Ed Williams initially worked as a car-wash buffer to enable his music career; behind his colorful fezzes and jackets and party-time shows is a steady work ethic. The Blues Imperials roll out a stomping album on local label Alligator every couple of years — 2006’s Rattlesnake was a peak. By Steve Knopper. Read the full story, in the Chicago Tribune. Lil’ Ed Willams and his Blues Imperials are planning dinner, musically speaking, for the Center for Performing Arts in Bonita Springs. Just listen to a few of their song titles: Chicken, Biscuits and Gravy and Icicles in My Meatloaf. A good story gets Williams’ creative juices going, and that creativity has served him through nine blues albums and tours around the world. The Dec. 8 show is the first venture into Bonita Springs, however, for Williams and his crew’s foot-tapping, body-swaying blues. Williams figured he’ll even put a blues spin on a Christmas tune or two, such as “Santa Claus Is Coming to Town.” His holiday song, “I’m Your Santa,” which promises that certain someone a frisky Christmas, is bound to be on the list, too. By Harriet Howard Heithaus, before Lil’Ed & The Blues Imperials’ show this December 8, 2017, at the Center for Performing Arts, in Bonita Beach, Florida. Read the full feature article in the Naples Daily News. As part of WCL’s Chicago Music Series, we celebrated Lil’ Ed and The Blues Imperials 30th anniversary of performing together. They sang their classic Poor Man’s Song. Full performance to be watched on Windy City Live. 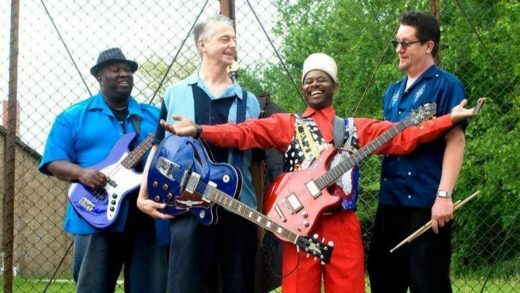 World-renowned bluesman Lil’ Ed Williams and his band, The Blues Imperials, will celebrate 30 history-making years together with a live performance at B.L.U.E.S. in Chicago on Friday, November 17th, 2017. The Blues Imperials, made up of Williams, bassist James “Pookie” Young, guitarist Mike Garrett, and drummer Kelly Littleton, have been traveling the world, delivering their brand of rollicking, and deeply emotional blues for three decades. 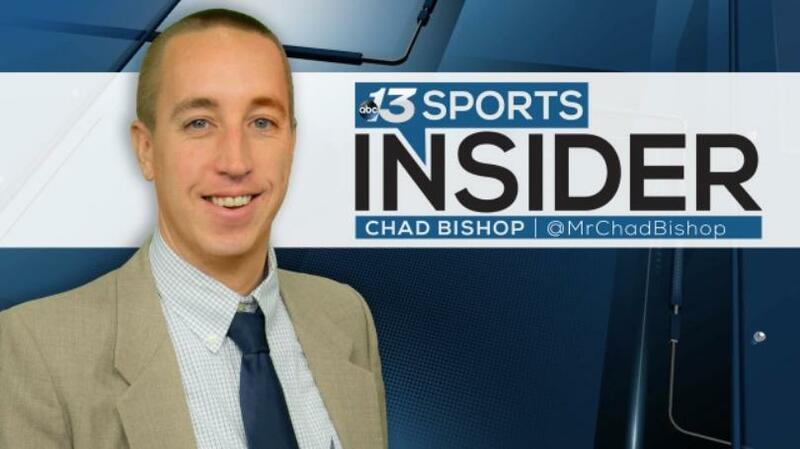 A group of special guests will be on hand to help celebrate this milestone. Alligator Records founder, Bruce Iglauer, will be on hand, and well as Williams’ label-mate, Toronzo Cannon. Hungry fans will be able to sample Williams’ and Garrett’s secret recipe barbeque ribs, which the musicians will be cooking prior to the show. Lil’ Ed & The Blues Imperials won the Blues Music Award in 2017 for “Band of the Year,” making it the third time they’ve won the coveted award. They also received the Living Blues Award for “Best Live Performer” three times in five years. Their latest Alligator release, The Big Sound of Lil’ Ed & The Blues Imperials was touted as one of the ten best blues albums of the year. Over the course of nine Alligator Records albums and countless live performances, Williams has earned his place as one of the most honored bluesmen of his generation. A three decade anniversary is an achievement rarely matched in any genre, and almost unheard of in the blues. By JD Nash, before Lil’ Ed & The Blues Imperials’ 30th Anniversary Celebration Concert this Friday, November 17th, at B.L.U.E.S. on Halsted in Chicago. Read the full story in American Blues Scene. For the second straight year, blues legends Lil’ Ed & The Blues Imperials won the coveted Blues Blast Award for Blues Band Of The Year. The Blues Blast Music Awards are presented by Blues Blast Magazine. Voting was open to the public at BluesBlastMagazine.com beginning July 1 and ending at midnight CST on August 15, 2017. 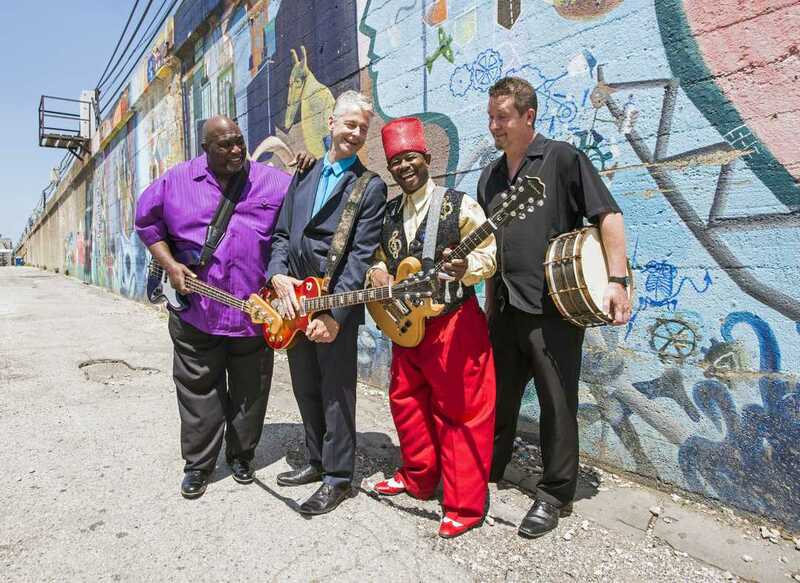 Headlining the opening night will be twenty-time Blues Music Award nominee Lil’ Ed & the Blues Imperials. Lil’ Ed Williams continues the lineage of such Chicago slide guitar masters as Hound Dog Taylor, Elmore James, and Williams’ uncle, J.B. Hutto. The fan favorite, fez-wearing, toe-walking showman is not to be missed. By Brian Cornish, before Lil’Ed & The Blues Imperials performance at the Chenango Blues Festival, on August 18, 2017, in Norwich, New York. Read the full story in NYS Music. Lil’ Ed is Ed Williams, Chicago-born blues guitarist, singer and songwriter who has risen to fame on the strength of his standout slide guitar work. His backing band — The Blues Imperials — are bassist James “Pookie” Young, guitarist Mike Garrett and drummer Kelly Littleton. Williams and his half-brother Pookie Young, received childhood encouragement and tutelage from their uncle, blues guitarist, songwriter and recording artist J. B. Hutto. “J.B. would come and play for my family,” said Williams. “Slide guitar was the instrument for me because it shimmied. J.B. would play his slide and the 40-watt light bulbs in our house would dim. It’s been almost 30 years since Lil’ Ed & The Blues Imperials released their debut album Roughhousin’ on Alligator Records. 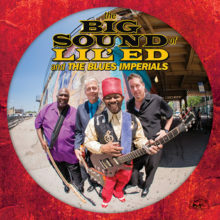 The band’s most recent album is The Big Sound Of Lil’ Ed & The Blues Imperials in 2016. All of Li’l Ed’s records over the last three decades have been on Alligator Records, a Chicago-based label specializing in blues music. “I went to their studio and did 15 songs. Then, we kept going. We cut 32 songs in a couple hours. That was where all the songs from Roughhousin’ came from. Williams has started working on his next album for Alligator but no release date has been set. By Denny Dyroff, before Lil’Ed & The Blues Imperials’ performance at the Riverfront Blues Festival in Wilmington, Delaware, on August 4. Read the full story in the Unionville Times.